What should be the cost of bare root rose of height of 1 to 2 feets?? Fertilizers for roses is a very wast and well researched subject. In my limited experience of roses, there is no single recipe which can be prescribed as best for all types of soils and climates in which roses grow. This is more akin to chemical fertilizers which have a quick release effect. It would not be appropriate, for example, to use the same fertilizer in the generally acidic soil of Skardu and the highly basic soil of Bahawalnagar and expect similar results at both places. Generally, roses prefer humus rich slightly acidic soils with pH levels of 6 to 7. Second and more important aspect that needs to be considered is the soil texture and structure. Texture refers to the "proportion of different size mineral particles in the soil" while Structure refers to the "way these mineral particles are joined together". Chemical fertilizers can not alter the soil texture and structure significantly and if the soil texture is inherently weak, use of even most appropriate chemical fertilizers might not bring the desired dividends. In my view it is more important to improve the soil texture and structure first. After that, use of appropriate chemical fertilizers will bring better results. Nitrogen heavy fertilizers should be avoided in alkaline soils. Things are much easier in neutral pH soils and most commercially available rose fertilizers will work well, provided the soil texture/structure is healthy. Adding of appropriate type and quantity of humus material, manures, composts will improve the soil texture / structure. Just my two cents. I have a few varieties of tiger roses growing in my terrace in containers. Izhar can you kindly guide me or clarify this concept of "pinching new growth to promote bushier growth". I am unclear on this. Also where in Karachi would I be able to buy some fertilizer for roses? Can you name some stores specifically. 1) Roses are not heavy feeders at all, they require little nutrition but continuously during growth season only. 2) NPK for new rose bushes is different than NPK of 1 year old and NPK of 2 year or more. 3) NPK requirement of potted rose is different than ground rose. 4) New planted roses only need fluffy and humus rich soil until the growth after its planting gets over 2-3 inch in length, no chemical fertilizer should be added whatsoever. 5) After this growth period (which lasts 40-50 days after planting) fertilizing is required on regular bases till the season finishes. 6) Initially a fertilizer having a high Phosphate number should be used along with balanced Nitrogen and Potash. 7) Organic matter must be used if the bushes are intended for long term (we mostly want to keep the forever!). 8) Best organic matter include seed cakes, vegetable/fruit scraps, fish meal, peat, leaf mold, compost, well rotted manure. Do Not use Bone meal. 9) Two times application of organic matter is enough, start of the season and end of the season. 10) Compost, Leaf mould, well rotted manure require 3 inch layer. Seed cakes, peat, vege/fruit scraps require 1-2 inch layer. Fish meal require 1 inch layer. 11) Any organic matter should be thoroughly mixed in the upper 2-4 inch of soil (depending on pot or ground). 12) Nitrogen source must be calcium based, though our soil is not deficient in Calcium but almost all of it is unavailable for absorption. 14) After initial high phosphate application (in form of Single Super Phosphate only.. dont use DAP) phosphate should not applied for rest of the year!! 15) Nitrogen should be used in equal parts of Potash. 16) Nitrogen is volatile, converted to Ammonia by bacteria so it readily becomes unavailable to plants during growth if the growing medium is deprived of organic matter. It should be applied weekly in very diluted form ONLY during growth season. 17) Phosphate and Potash remain in soil for much longer time but Potash is readily taken-up by roses, so Potash requires diluted applications every 10 days ONLY during growth season. 18) NO CHEMICAL FERTILIZER should be applied from May-September. 19) Micronutrients play a very important part and must be applied in a form which is water soluble and easily available for the roots to absorb. Chealated micronutrients are easily available, they should be used once a month in roughly 1/4th dilution as per recommendation on label. 21) 2 teaspoons Calcium Ammonium Nitrate in 4 litre water gives 540 ppm nitrogen solution along with 120 ppm Calcium and 80 ppm Magnesium, better than urea for a healthy growing plant on weekly basis. 22) 1 teaspoon of Potassium Sulfate 4 litre water makes about 500 ppm Potash solution, this is enough for a healthy growing plant every 10 days. 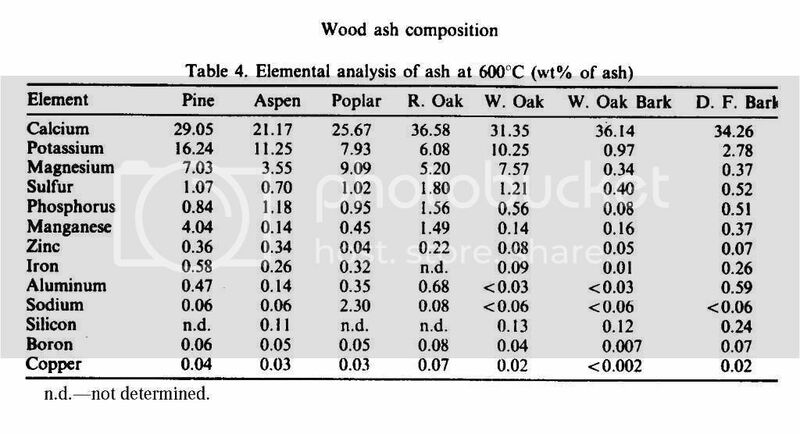 23) Wood/Charcoal Ash is a great source of Calcium, Potash and many micronutrients. It is very alkaline, so as to reduce its alkalinity it should be reacted with vinegar or battery water: to make a suspension you need wood or charcoal ash 1 tablespoon, add little water to make as slurry, add two tablespoon common vinegar/ battery water, leave this solution for 10 mins, add more water to make a suspension, give this whole suspension to your plant every 10 days. 24) Excessive Phosphate causes unavailability of many nutrients which results in distorted new growth, crinkled leaves, burnt edges which we think as a pest damage. Need inputs of my gardening mates here..
And a few more things Izhar Sb. 1.Can I feed these new bushes with Half Inch layer of Old Cow Manure on weekly bases. 2. After adding them Manure shall I water them immediately or do it after 2-3 days. 3. Manure should be mixed with soil by doing good howing (goddi) or it should be left on top layer and watered only to decompose naturally. Reply: It is better to add the manure in soil, mix well with goddi, plant the bushes (if you are planting new ones), water the soil, add 1 inch layer of old manure on top soil and leave them untouched for 10 days i.e. no watering, if rain pours then increase the duration. Manure has to be digested by microbes inorder to become beneficial for plants otherwise its NPK is very low. Reply: Say around 80% mixed in soil and 20% on top dressing. Reply: No need to do frequent goddi if your soil has lots of organic substance. Though it aerates the compact soil and make it soft but frequent goddi kills the earthworms which are extremely beneficial for soil. Twice or thrice a year is enough. But if your soil is compact and lacks organic matter then once a month is enough. Clay pots dont require it only when mixing organic matter otherwise roots can easily breath through walls of container.